As we start to reflect on the possibilities of the Intelligent Campus for Higher Education and Further Education, it is useful to lift our heads above the educational parapet and see what is happening in other sectors. When we see what others are doing we can learn from them and come up with new ideas and concepts. One of the early thoughts we had as we looked over the Intelligent Campus was simple things such as informing learners about availability and capacity of learning spaces in the library (or even a coffee shop). The learners could be informed through a mobile app, or even on screens. 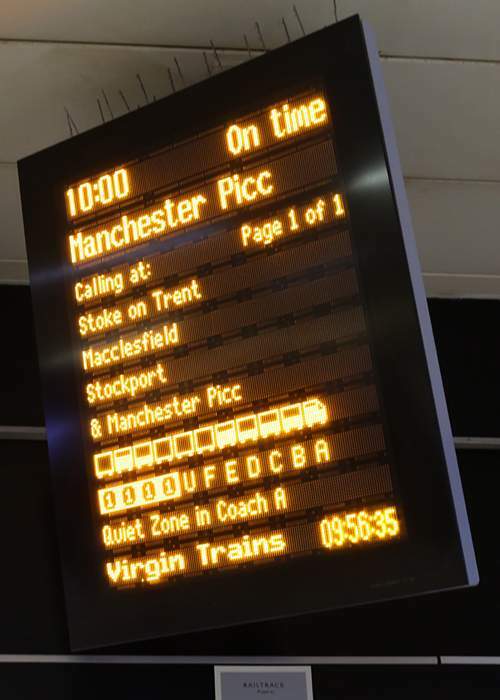 Virgin Trains at Euston have a system and a process that uses a visual indication of the availability of unbooked seats on their trains that is shown on the departure boards. This is what many would call a dumb system as it doesn’t show actual availability, as the availability is based on the reserved seats, not on people actually sitting on those seats. 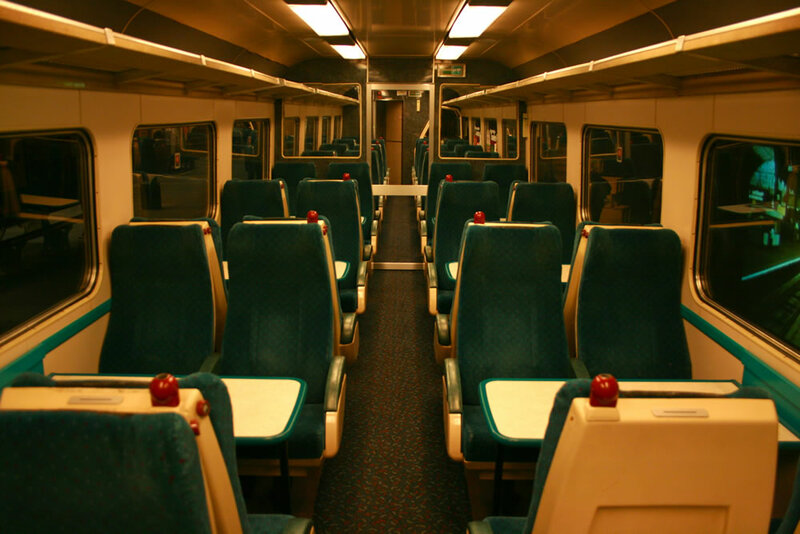 Those who travel by train will know that not everyone who reserves a seat always sits in that seat on that train. Likewise there will be people sitting in the unreserved seats already (and the system won’t take that into account). With trains, the information is only needed for a short time, so these issues aren’t problematic. Using a similar system for, say a library computing booking system, could cause frustration for learners. If the library computer availability is based on bookings then you can imagine scenarios where learners could be frustrated. One scenario, is a learner who accesses the board or app sees that all the computers are booked, assumes they are all being used and isn’t able to do their studying. The reality may be that thought the computers are booked, the learners who booked them have either finished early or didn’t turn up. Another scenario, has the learner checking the availability from home, seeing that there are plenty of free (or non-booked) computers available, makes a journey to the campus and then finds that there is no availability as the computers are all being used by learners who popped into on the off-chance that the computers would be free. You can see then that any system dependent on bookings or reservations is quite limited. If you could add to the system computers which are actually being used and this live data is added to the system then this will be more accurate in informing learners about availability. Though this is only useful for the current time, planning for the future availability is back to being dependent on bookings. What could make this more useful is, if historical data was added to the system , so that as well as knowing the bookings, the learner is informed of when the space is busy and when it is more likely a computer will be available. Google has a similar concept if you search for a retail outlet. This is also useful if you have banks of computers that aren’t available to be booked. Any such system needs to be useful to learners, so in the first instance it can be advantageous to check if you have a problem in the first place that would need a solution. If there is demand for such a solution, ensure that you have the right data and any interpretation of that data is accurate. As with any new system review and evaluation should be undertaken to check that it’s all working and that it is useful to learners. 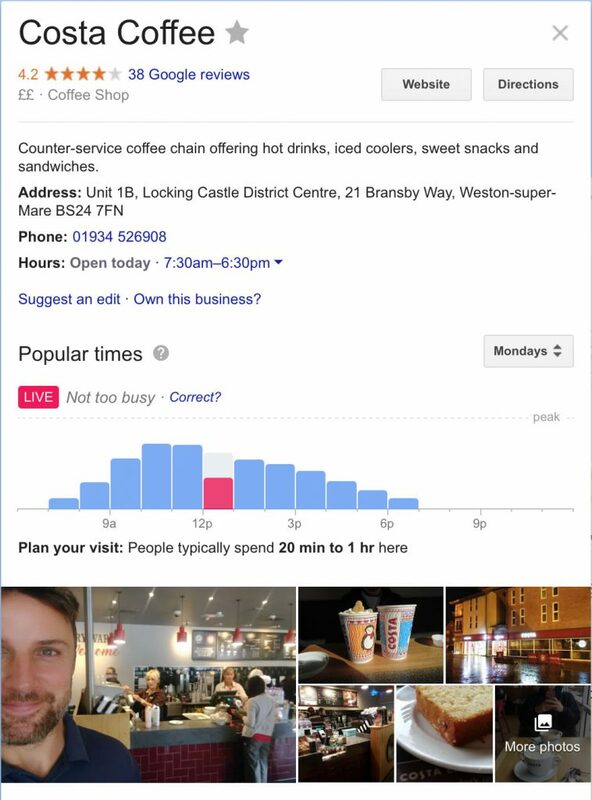 You may also want to consider the usefulness of the data to others in the organisation, obviously IT, but also estates (for cleaning access) and catering (for peaks in demand for coffee in the nearby coffee outlets). So do you already have such a system in place, does it do what it’s supposed to do, what would you do differently? What is harder to manage is for encouraging equitable space usage for non trackable (i.e. no PC at the desk) spaces. During peak exam and study periods our roving support staff do manual tallies and update a space availability webpage which displays on large screen near the Library entrance. I know others are looking at options around tracking the wifi usage and therefore approximate busy-ness per area. There’s loads of data that could be capitalised on here. For instance I remember in one university we were trying to gather key deadlines from teaching staff so that we could get a better picture of upcoming surges of learners hitting the VLE hard, and therefore having peak times for support queries. So it seems that the patterns of use, and therefore predictability of resource usage in Ed may have some more variables and nuance than historic footfall that predicts how busy shops are. Encouraging this information to be captured early (e.g. setting deadlines in VLE at the start of the ac.yr rather than adding it as the work is set) would be a necessary step to getting much more useful insight into future usage of resources. I’ve seen this be a challenge, for obvious reasons. But by using it to improve the student experience that might help motivate?… ‘Load your key dates into the system early, and we’ll be better able to plan our resources to the benefit of your users – better for their attainment and stress levels!’. There are likely to be loads of other variables (Lots of books due to return; a big assignment being *set*; weather; etc) and it stands to reason the ‘equation’ would vary from uni to uni. Oh god this got complex fast. So I might as well end on the words ‘machine learning?’.